Without saying it explicity, as he was seemingly fighting back tears, Chris Cox (VP or Product Management at Facebook) touched on something mankind has either subconsciously or consciously done since the dawn of time – left behind stories and pictures for those who came after them. That’s exactly what Cox and the Facebook team feel they’ve started in launching Facebook Places. It should come as no surprise really considering the joke made earlier about Facebook employees’ love of sociology. 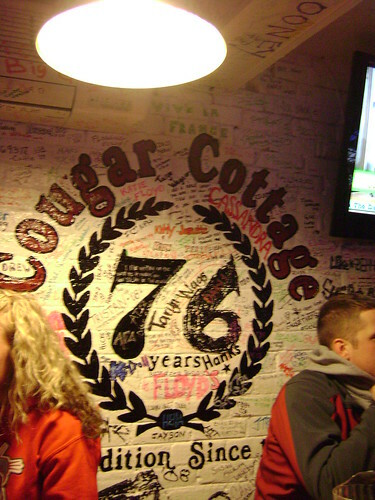 The example Cox gave was of a son or daughter visiting the spot where their parents, years ealier, had their first kiss. Their magical device would alert them to the story and dislay pictures, text and comments from others. Instantly, in that futuristic example, the son or daughter connects with a storyline played out years before. Sounds kinda cool, right? This connection to the human pysche is what Facebook has tapped into since its inception. First, they connected students at the place where connections often mean the most – college. Next, in expanding beyond the hallowed halls of academia they provided a wider net for communication and sharing of experiences, adding enhanced photo, video, and interaction capabilities. In recent months you have seen Facebook connect popping up all over the Web, giving access to information from your friends and relatives regardless of what site you’re visiting. 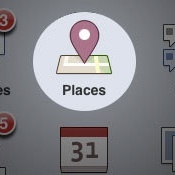 Now, with Places, Facebook is taking take connection one step further and letting users tell that story of their life even further – by tagging the places where those events took place. It’s no giant leap to say eventually the tagging features will come full circle and you’ll not only be able to tag your friends in photos, but the places where those photos were taken, creating a scrap book of the places, people and thing you love most and leaving it behind for your friends and loved ones to find during their own journies. What’s next? Who knows, but I can’t wait to find out.